When summer seems to be drawing to a close, one of the best things about this time of year is that the farmer’s market still has an abundance of fresh fare. Right now, the tomatoes are amazing. 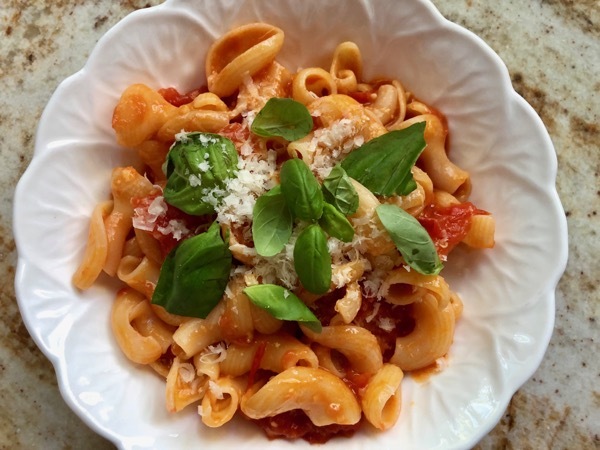 And with a slight chill in the air what could be better for a quick weeknight supper than a simple cherry tomato pasta brimming with flavor. No matter how crazy your week, you’ll be able to make this in less than 15 minutes. Promise! 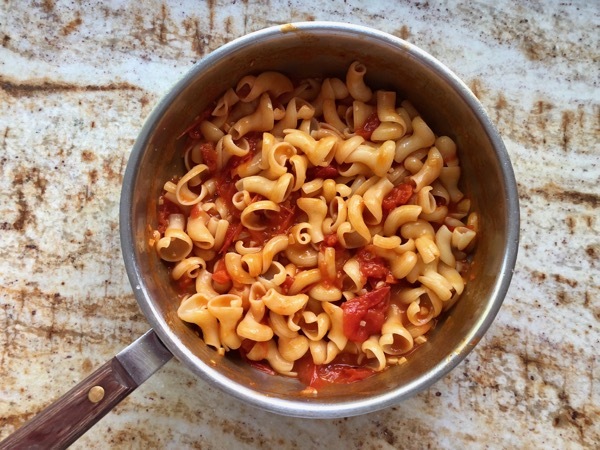 For this burst cherry tomato pasta start with one pound of cherry tomatoes. 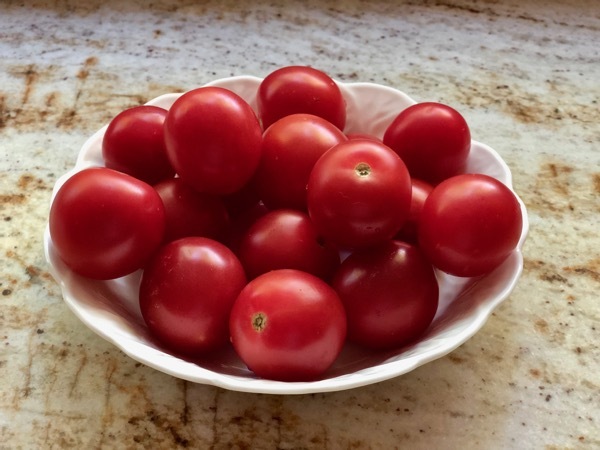 If you can’t find good cherry tomatoes, don’t use grape tomatoes as they will not burst and break down properly. Use large tomatoes cut into one-two inch squares instead. 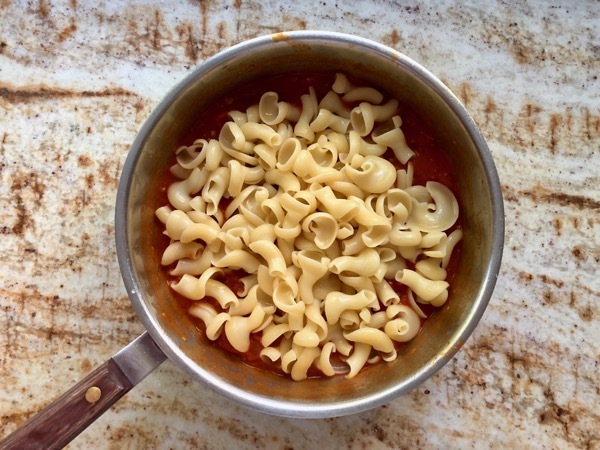 For the pasta choose a fun shaped tube pasta such as campanelle. 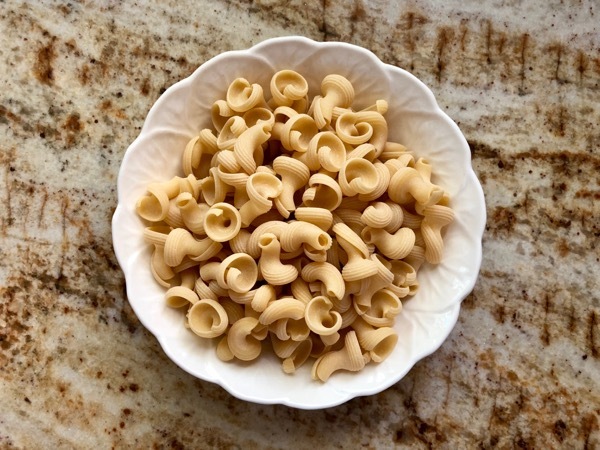 I love maccheroni al torchio, which looks like little trumpets. All the ridges and nooks do a wonderful job of grabbing onto the sauce. 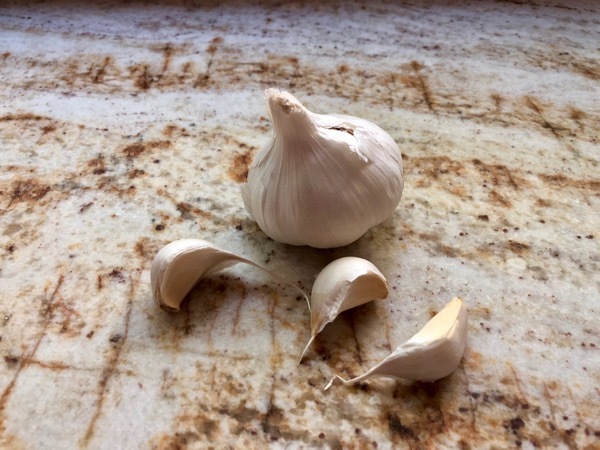 To begin, coarsely chop three clothes of garlic. Heat ¼ cup olive oil in a large heavy pot over very low heat. Add the garlic and cook, stirring, until softened and fragrant but not browned, for about two minutes. 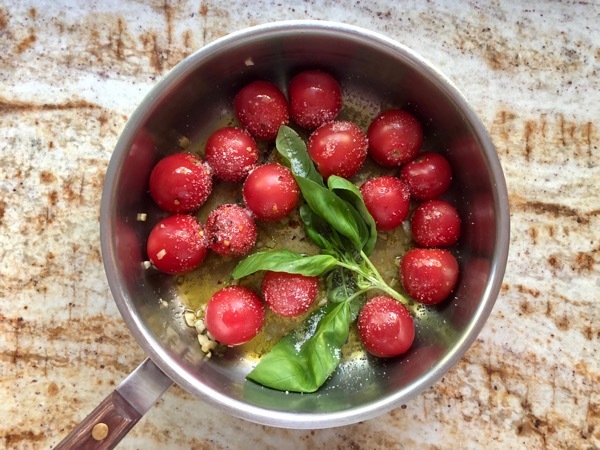 Increase the heat to medium and add the tomatoes, red pepper flakes, basil sprig, and ¾ teaspoon salt. Cook, stirring to coat, until the tomatoes begin to burst, about 4 minutes. 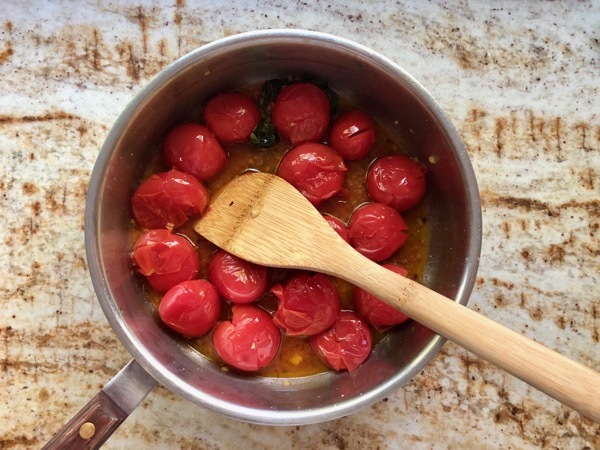 Smash the tomatoes with the back of a wooden spoon to help create a sauce. 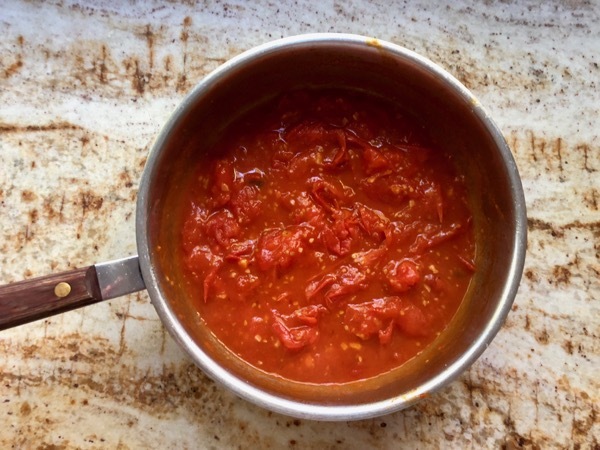 Then continue to cook, stirring occasionally, until a chunky, thickened sauce comes together and about half the tomatoes are completely broken down, 10–12 minutes. Taste and adjust the seasoning, adding a pinch of sugar if sauce seems tart. Pluck out and discard basil sprig. Meanwhile, cook the pasta according to the package directions in a large pot of boiling salted water, stirring occasionally, until al dente. Drain the pasta, and add to the pot with sauce. Cook over medium heat, stirring, until coated, for two to three minutes. Remove from the heat and stir in one-half ounce finely grated Parmesan cheese. 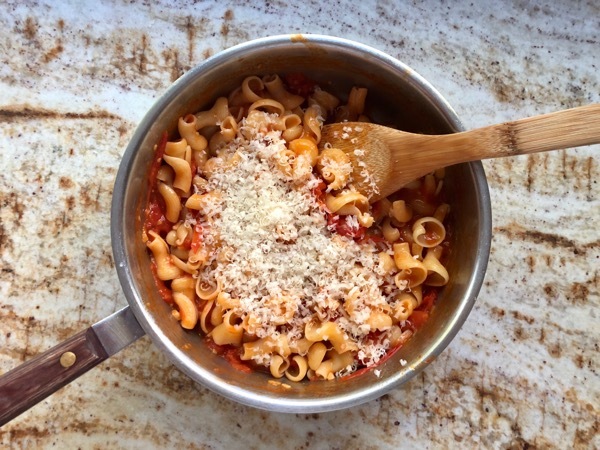 Divide the pasta among bowls. 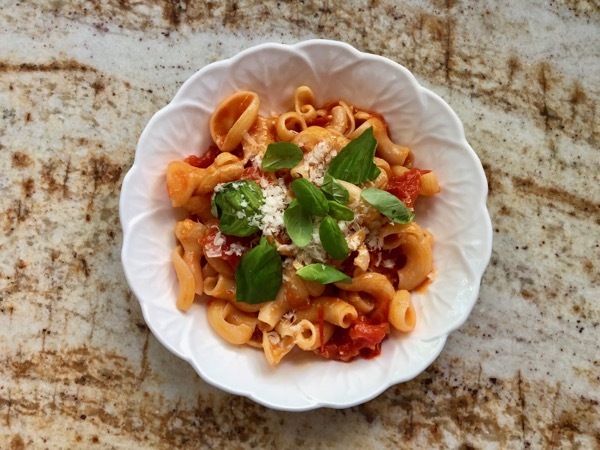 Top with more Parmesan and one-half cup torn basil leaves. 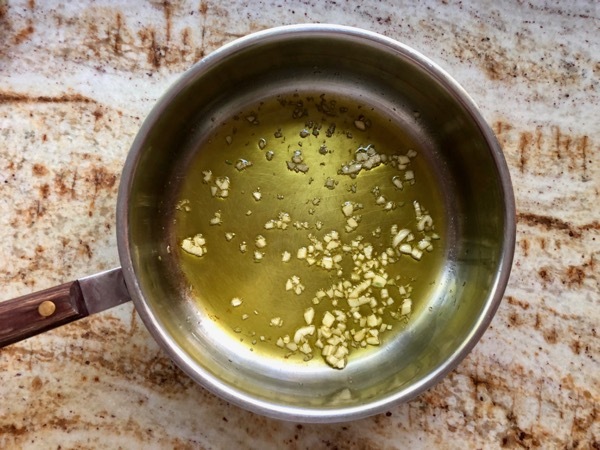 Drizzle with oil and serve. 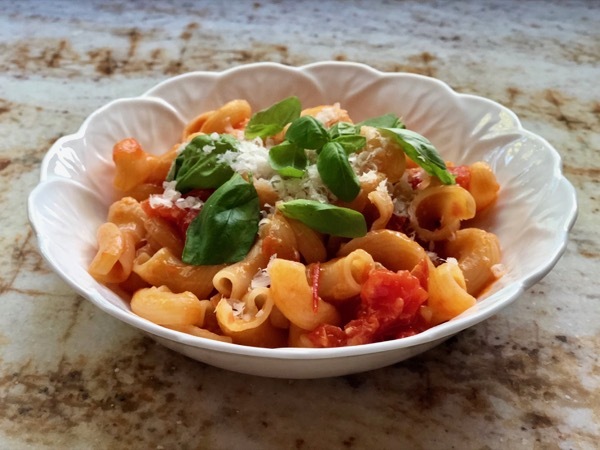 You’ll find this pasta is as easy and comfy as throwing on a sweater! about sandy Wherever I find myself, I’m happiest with a full dining room table. As a former professional chef and caterer I want to share what I’ve learned over the past three decades of entertaining. On this site you’ll find tricks of the trade to help even the most harried of you pull off a seemingly seamless fête. Come join the conversation! All Content and photographs are Copyright of Sandra Bergsten. Please credit Sandra Bergsten when promoting or featuring this content.